These guidelines are intended to ensure that development in Montgomery County is accompanied by appropriate and sufficient transportation facilities. They are used by the Planning Board and staff to estimate the impacts of development on the transportation network and determine effective ways to mitigate that impact. In 1973, the County Council adopted an Adequate Public Facilities Ordinance and granted the Planning Board administrative oversight to ensure that adequate public facilities exist to accommodate growth. 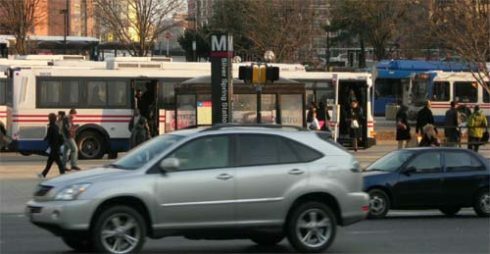 Since then, Montgomery County has considered the impacts of development on the transportation system, guided by the County Council’s Subdivision Staging Policy, which is reviewed on every two years. The LATR/TPAR document implements the Subdivision Staging Policy, which includes Local Area Transportation Review (LATR) to measure development impacts on local roads near the development site, and Transportation Policy Area Review (TPAR) to address impacts on a wider geographic scale. 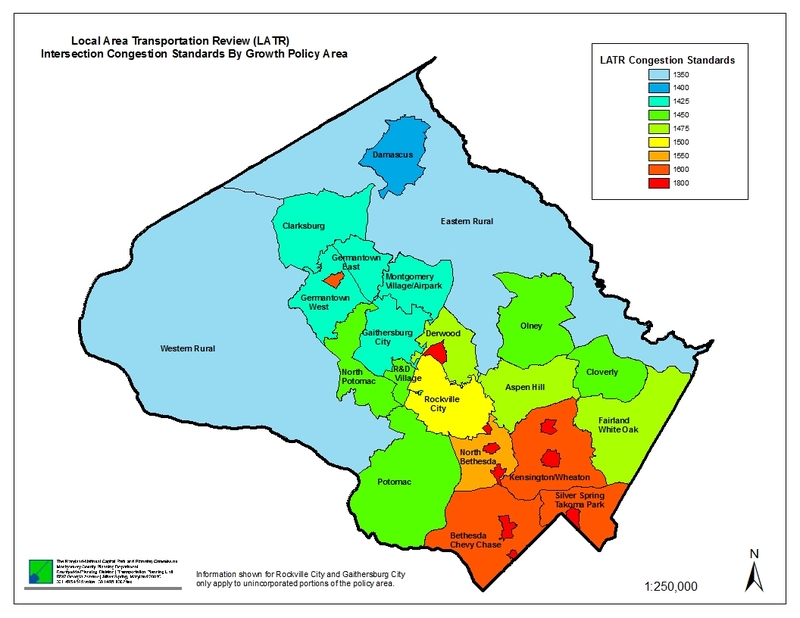 TPAR evaluates the adequacy of transportation at a policy area level, measuring the capacity of arterial roads and transit separately. Introducing transit into the analysis supports and measures the success of the County’s long-standing policy to focus growth at transit nodes including the Metro Station Policy Areas. 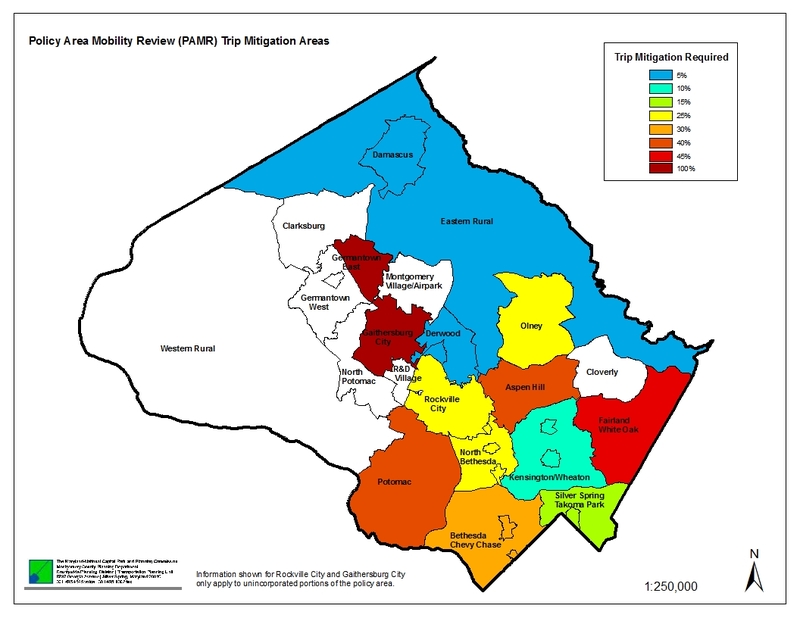 The county’s multi-modal focus is further supported by the mitigation options in this publication that include enhancements to transit, pedestrian, and bicycle facilities. Send submissions of or requests for traffic counts for LATR to MCP-trafficcounts@mncppc-mc.org.